Christmas is my favorite holiday. I love the twinkle lights and the coco, the cozy nights in and the corny movies, I just love it all. Every year I make a list of all the winter activities I want us to do leading up to Christmas, but as with most "to do" lists it gets pushed aside, and before I know it all the presents have been opened and we're packing up the tree. So to change this, I started making us an advent calendar. Scott and I split up the month and write a Christmas activity to do each day, this way we have a whole month filled up with holiday surprises. 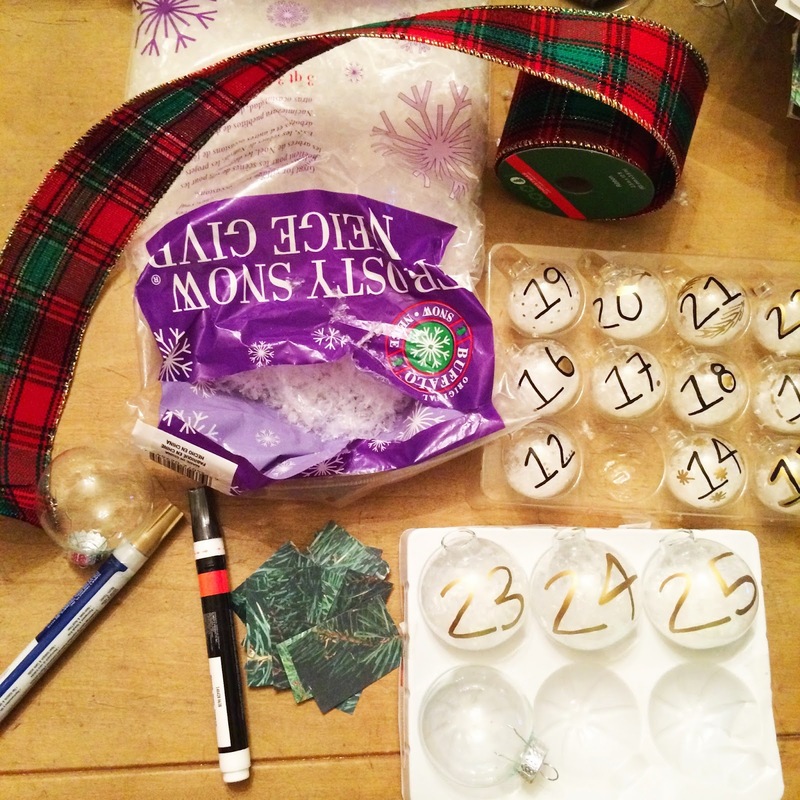 I thought I would share how I made our advent calendar this year since it's pretty cute! 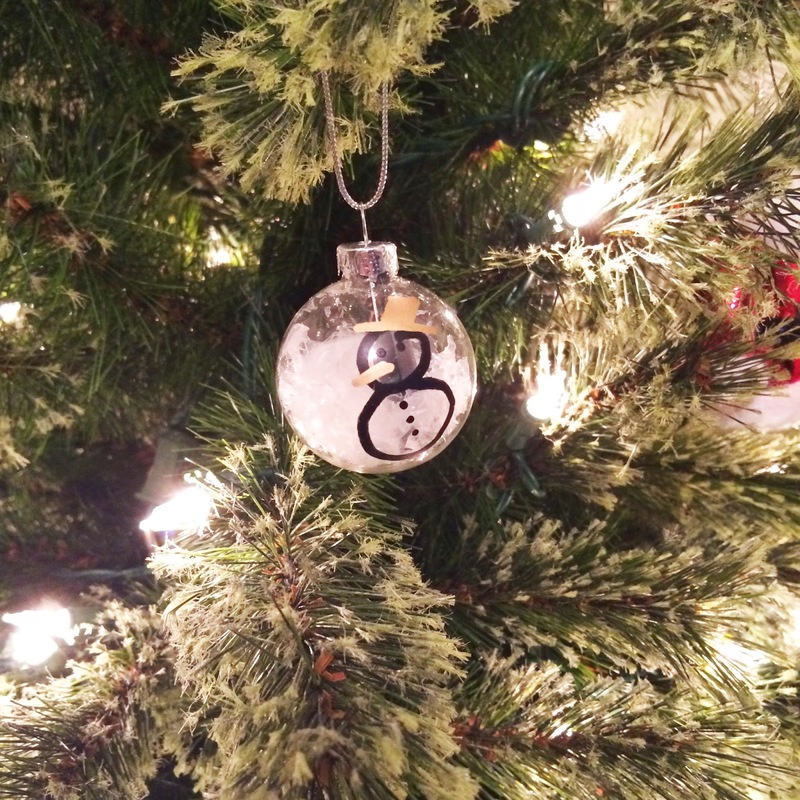 *I used small sized glass globe ornaments which worked fine, but a larger size would be a lot easier to work with! 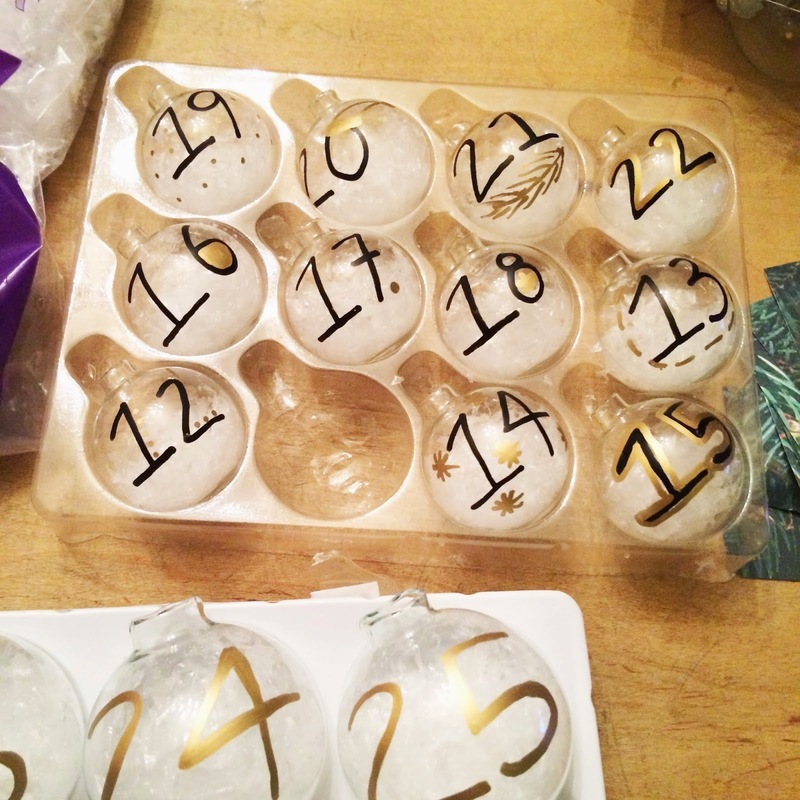 Start by putting the fake snow inside the ornaments with a funnel, you could also use tinsel or glitter if you prefer. 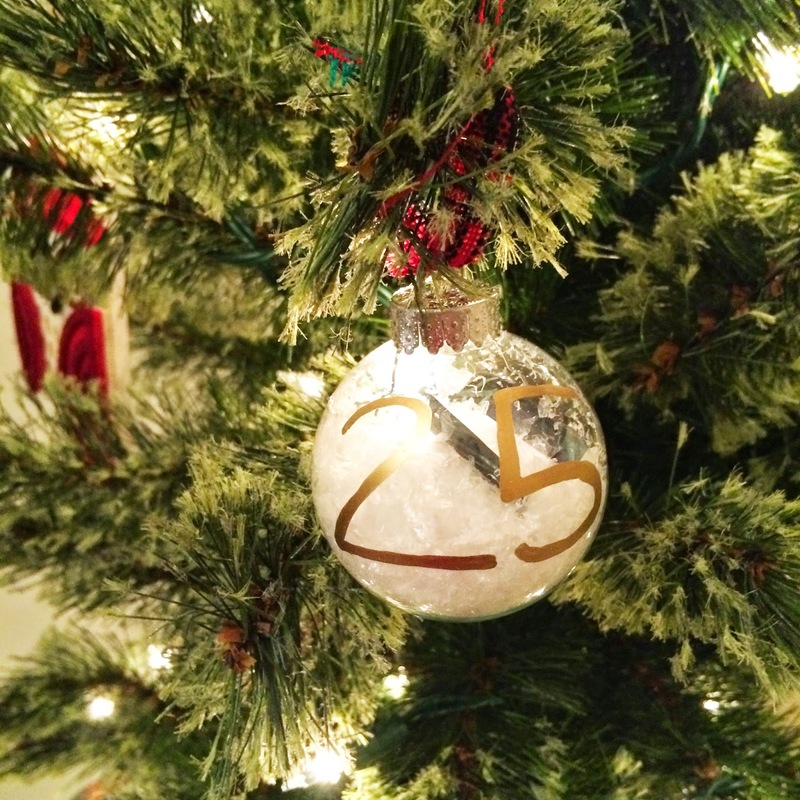 Then use the paint pens to write out the days on each ornament, I used the gold pen to add some decoration and color. Then comes the fun part, think up all of the daily activities for the month and write them out on little scrolls of paper. I taped these up so that they wouldn't unroll inside the ornament and become impossible to get out...yes I had to get one stuck to find this out! After you add in all of the paper scrolls you can decorate the tree with all of the ornaments. Now comes the hardest part...waiting for December 1st! Happy Holidays!